An unidentified man shot dead an employee at a fast food restaurant for delaying his order. The event occurred on Saturday, July 16, in Saudi Arabia. According to the Saudi Gazette, a colleague of the victim had called the police to report the incident. 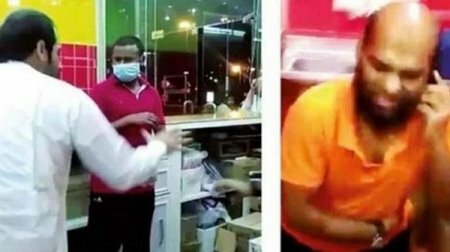 A video of the incident posted on social media shows the customer verbally abusing and fighting the employee. He leaves the restaurant, returns with a gun and then shoots the worker. The customer, who is a man in his 30’s, has been arrested. Saudis on social media are calling for death penalty for the man.